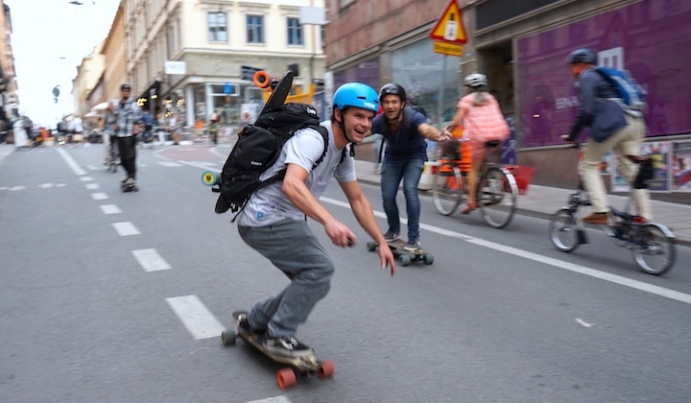 Mellow | The Electric Drive that fits under any Skateboard – Mellow Boards GmbH | How Far Can You Go with the Mellow? |How Far Can You Go with the Mellow? Our maximum range of 15 kilometers was calculated using a simulated typical rider in controlled conditions in a continuous ride as a means to give an idea of the absolute and theoretical top limit. Wait what? You came here to find out more about how far you will be able to ride, right? Well, we hit the road - for science. Since riders come in all shapes and sizes, all members of our team rode and rode, then rode some more. Our different body sizes, changing wind, all types of road surfaces and varying hills all changed how far each of us was able to roll on a single fresh battery pack. We collected the figures, and here's Caro to show you the realistic range for each mode. Charge and use your battery pack at least 5 times so that the advanced battery management algorithms can fully learn profile your pack and help you get the most out of each recharge. No matter how many kilometers (or miles!) you ride, let us hear from you! The Endless Ride is crossing oceans, from Washington, USA to South Korea to Dakar, Senegal. Stay in touch by subscribing to the Mellow Times.